BPI Medical is recognized as one of the most qualified authorities in the rigid endoscopy repair market today. We offer in-house rigid endoscope repair services for all makes and models. All scopes are inspected and serviced by expert technicians, who use state-of-the-art equipment to ensure the highest quality repairs. 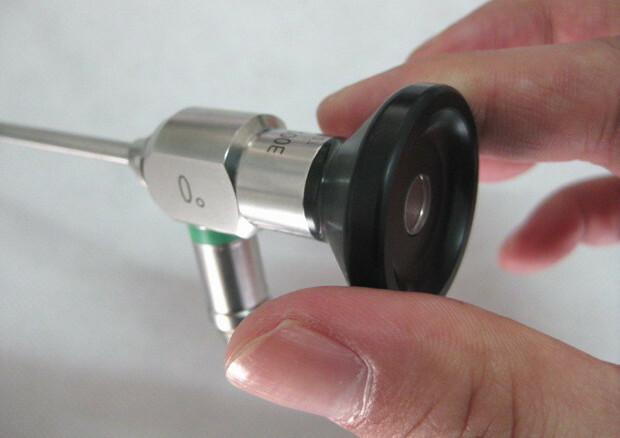 From polishing the objective lens to rebuilding the entire rigid endoscope, you can rest assured that your equipment is in good hands. We do it all; from repairing small diameter pediatric scopes, offset operative scopes, and long urology scopes to performing overhaul replacement of stainless steel shafts, light fibers, and image fiber bundles. We understand that medical practitioners require 'like new' performance. This standard demands the utmost clarity, attention to details and precision. All replacement parts meet or exceed OEM specifications. BPI Medical utilizes only new German optics to assure optimal image quality. All critical joints on the endoscope are secured through the process of laser welding to ensure a clean, stable weld each time. Every scope repair undergoes rigorous QC testing before return to the client. Our qualified technicians can even rebuild standard and specialty rigid endoscopes from scratch. Each rigid scope repair is delivered on time with the most competitive pricing in the industry.